MMEEL members Deo and Mikel participated in the PIRE: ‘Omics and Bioinformatics Workshop held on June 18 – July 3, 2018 at the Silliman University, Dumaguete City. During the first week of hands-on training and workshop, the participants were able to enhance their knowledge on Linux command-line operations in preparation for actual NGS data processing and analyses. The second week of workshop focused on utilizing dDocent (dō-sᵊnt) - a population genomics tool for processing and analyzing RAD-seq (and other flavors of RAD) data. They were also able to learn how to use different bioinformatics tools essential for filtering SNPs, which is a critical step in many downstream analyses, such as correct identification and interpretation of population connectivity and structuring. During the last days of the training, the participants also learned differential gene expression analysis from RNA-seq data using various R packages. The workshop was funded by the US-NSF and ran under the collaboration of Silliman University and Old Dominion University. On October 22 to 24, the Marine Molecular Ecology and Evolution Laboratory will be participating in the 13th National Symposium in Marine Science to be held at the Greenleaf Hotel, General Santos City. Dr. Rachel Ravago-Gotanco will be presenting their paper on "Novel genomic resources for sandfish Holothuria scabra: Discovery of putative SNP markers and unique transcripts associated with fast-growth juveniles using whole-transcriptome sequencing." The paper was adjudged finalist and will vie for the AFMA R&D Best Paper Award. To join her in receiving the Finalist Award are Gihanna Gaye Galindez and June Ordonez, research associates for the Sandfish Genomics project. The event will be on October 14-15, 2015 in Quezon City. 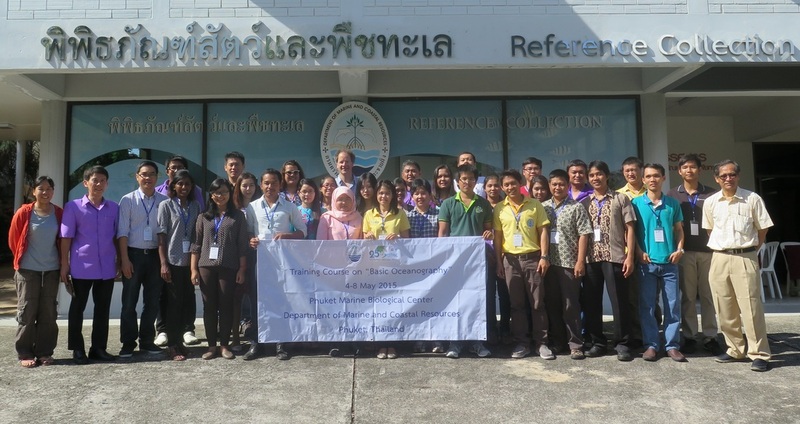 Lab members Faith Jessica Paran and Gihanna Gaye Galindez attended the Basic Oceanography Training hosted by IOC-WESTPAC last May 4-8, 2015 at the Phuket Marine Biological Center, Phuket, Thailand. 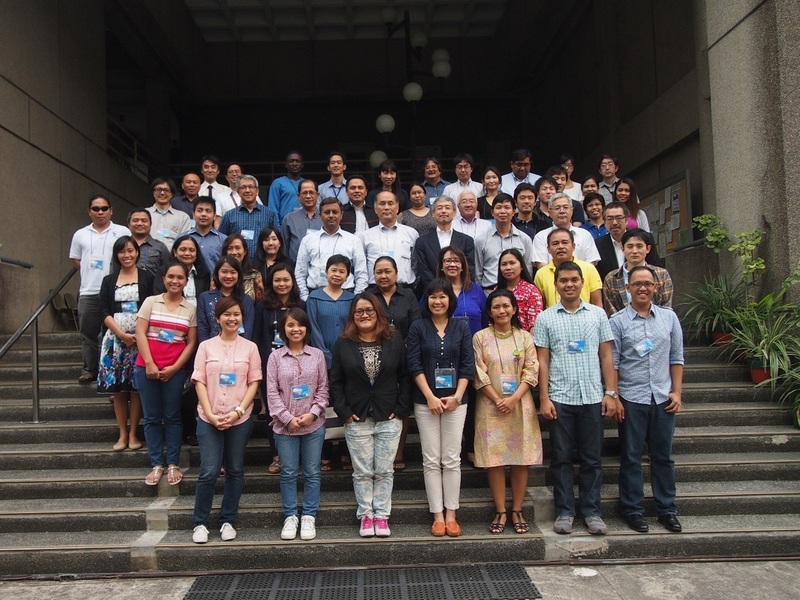 Kenneth Kim and Deo Angelo Macahig participated in the 2nd CECAM Asia-Pacific Regional Symposium with theme “Linking science and policy towards community resilience in a rapidly changing Asia-Pacific” held last January 29-30, 2015 at the Marine Science Institute, University of the Philippines Diliman. 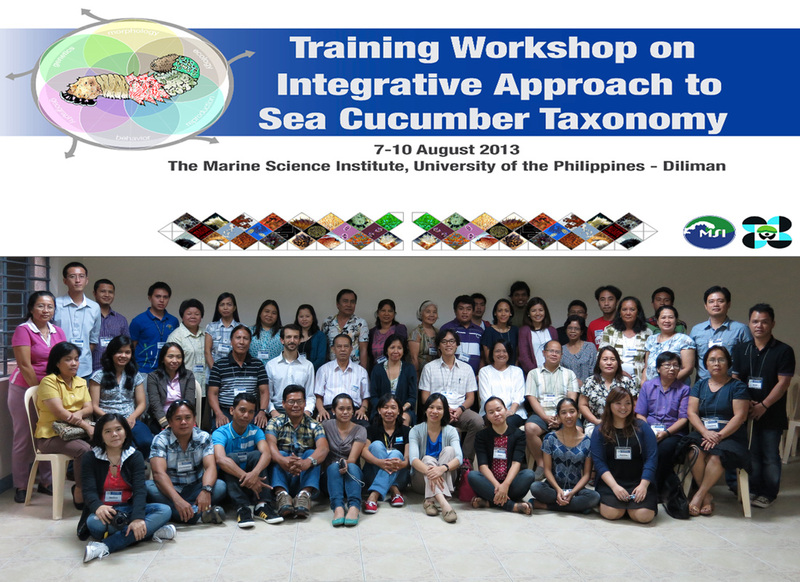 Deo Angelo Macahig underwent training on genetic analysis in the University of Tokyo from July 1 to August 29, 2014 as part of the Coastal Ecosystem Conservation and Adaptive Management under Local and Global Environmental Impacts in the Philippines (CECAM) project. 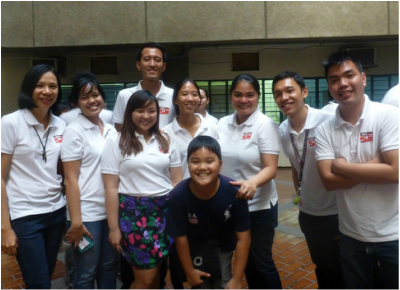 The Sandfish Program was part of the National Science Week celebrations. 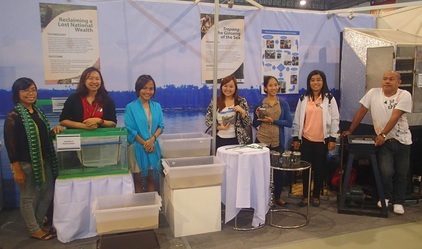 Hatchery, processing and project exhibits were displayed in this week-long event (July 21-27, 2014) spearheaded by the Department of Science and Technology at the SMX Convention Center. 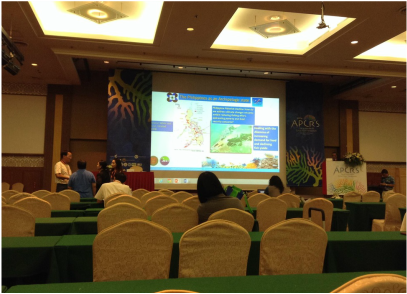 Apollo Marco Lizano presented his research on (C/O APOLLO) at the 3rd Asia-Pacific Coral Reef Symposium held at Kenting, Pingtung County, Taiwan on June 23-27, 2014. The event was hosted by the National Museum of Marine Biology/ Aquarium, Taiwan. 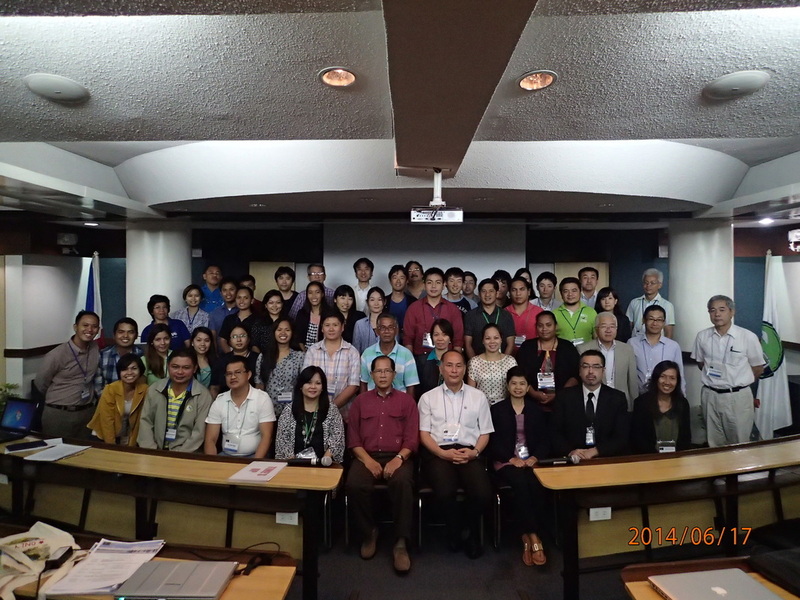 Kenneth Kim participated as a poster presenter and Deo Angelo Macahig assisted and participated in the CECAM 2nd National Conference/Workshop with theme “Community resilience through knowledge-based policies” held last June 17-18, 2014 at the Marine Science Institute, University of the Philippines Diliman. Kenneth Kim participated as an oral presenter in the 9th WESTPAC Scientific Symposium last April 22-24, 2014 in Nha Trang, Vietnam. His research was on the genetic population structure of Holothuria scabra in the Philippines inferred from microsatellite data. The Marine Molecular Ecology and Evolution Lab celebrates with the Marine Science Institute (MSI) community for the 40th Anniversary of the National Institute. 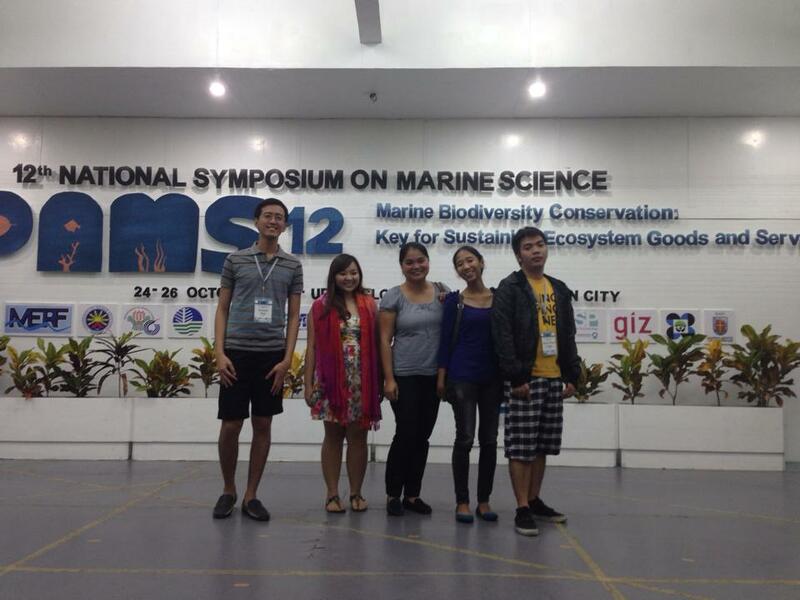 MMEEL attended the 12th National Symposium in Marine Science hosted by the Philippine Association of Marine Science (PAMS). Lab members Kenneth Kim and Apollo Marco Lizano (competing student) participated in the oral presentations, while Karina Therese Gulay presented her research in the poster category. Dr. Rachel Ravago-Gotanco delivered a plenary talk on Genetic and Genomic Approaches to Marine Biodiversity Management and Conservation: Old questions, New Technologies, New Directions. 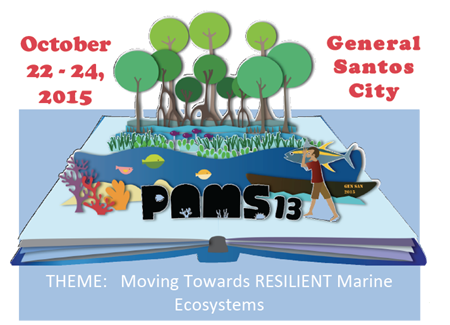 The 12th PAMS Symposium was held in Tacloban City, Leyte on October 24-26, 2013.